The Parent Advisory Committee, or PAC, is a school committee for parents to join to help raise money and school spirit. The Parent Advisory Committee started over thirty years ago and was very popular in the 1990’s. After the 90’s PAC slowed down a lot and didn’t have very many members or activity. A group of parents tried to bring it back last school year, and it was a success. I attended a PAC meeting recently and was very well pleased with everything that was discussed. The parents talked about what they could do for a playground for Elementary and Middle School and considered many possible fundraisers to help with the playgrounds and other things. One of the fundraisers they talked about was selling Yankee Candles. PAC has sold candles in the past with success so they’ve decided to do it again this year. 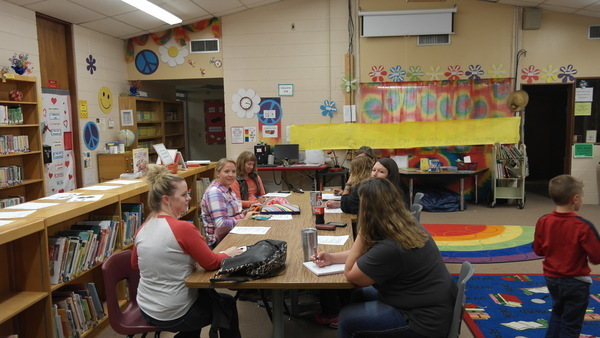 The Parent Advisory Committee also talked about ways they can get more involved in the community and ways to improve school spirit. PAC is a very organized group and I’m happy to have them at Flippin School District.